FAB Architectural Bureau in Castellarano exhibits portraits and drawings by the great Portuguese master of architecture. 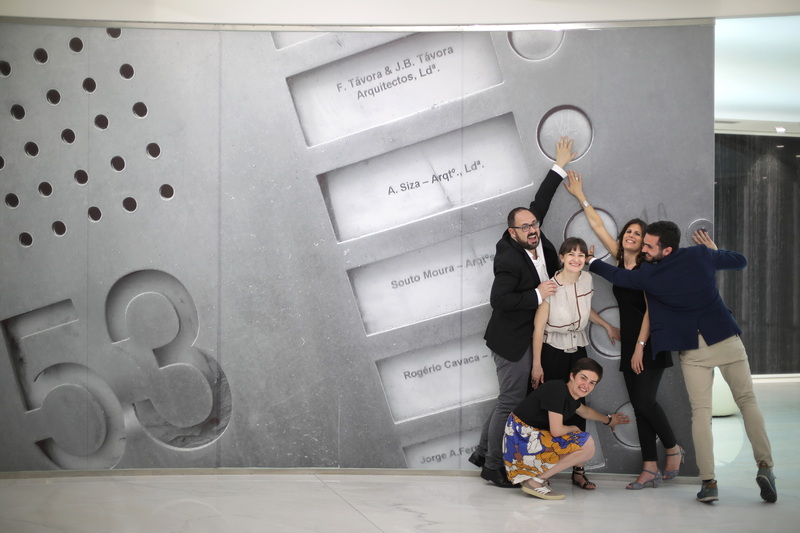 We talk to Greta Ruffino and Raul Betti, curators of the exhibition “Alvaro Siza. Viagem sem programa”, held by Floornature in Fiandre's exhibition space. 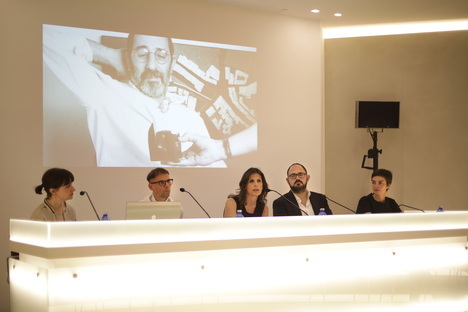 How did you come up with the ’idea of exhibiting Alvaro Siza's private portraits and drawings, completely excluding his architectural drawings? We came up with the idea for the exhibition following a number of meetings with Siza in his studio in Porto and an opportunity to look through his archive. A true privilege! During which we carefully observed his way of creating designs and investigating reality and different situations. On the basis of this experience we came up with the idea of holding an exhibition which would also allow other people to share the privilege. What we wanted to do was represent the architecture and the architect by speaking about the man himself and his most private side, the one Siza only showed to his friends and loved ones, or to the strangers whom he observed as he was taking notes, whom he loved to portray and capture in his drawings. planned, as they were business trips. But when we explained in greater detail that what we wanted to do was represent a metaphorical voyage, all about life and meetings with people that can be random but sometimes change the course of events, he gave us his approval, and we intentionally left the title in Portuguese. And the exhibition is created with the intention of becoming an itinerant project, and therefore somewhat “unplanned”, depending on the opportunities and requests that arise. Number 53 Rua do Aleixo in Porto is home not only to Alvaro Siza's studio but to those of Eduardo Souto de Moura and other Portuguese architects, including Fernando Tavora until he died in 2005. Why do they all work together in this unusual way? 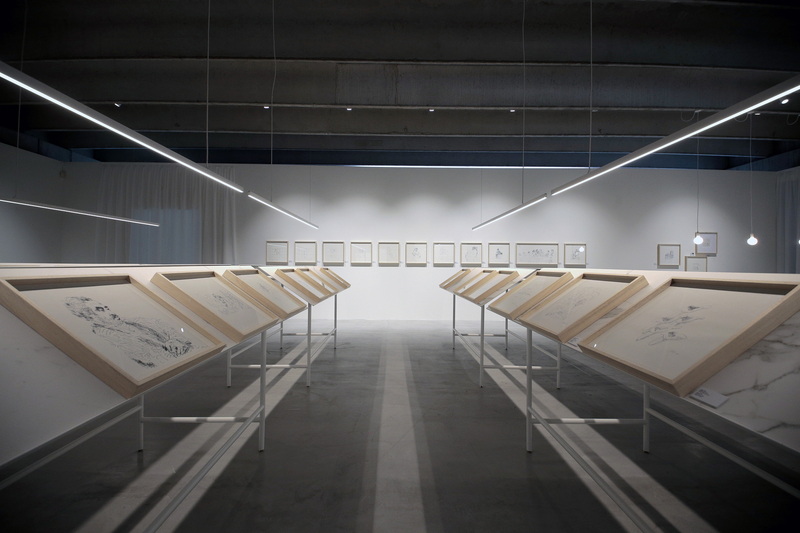 In the video documentary, which was filmed in Portugal, which completes the exhibition of 53 drawings, Siza reveals the principal reason for this: it is primarily a matter of friendship, a profound link first established between him and Tavora when they were at university, which was later extended to architects Souto de Moura and Rogerio Cavaca. In addition to friendship, there are reasons linked with the intrinsic value of working together, each with his own studio, in the same building. Siza speaks of great friendship and shared needs leading them to share a single common space. What is the importance of drawing, in your opinion, in Alvaro Siza's mental and creative process? Siza loves drawing, and he draws very often while travelling in order to take notes, give an idea permanent form, or note down an interesting detail for a project he is working on. It's his way of remembering something. Drawing is also a pleasure, and a way of proceeding in creation of a project, which can sometimes be difficult, tormented. And so even in his architectural sketches, there may often be drawings, portraits of people, details and notes all on the same piece of paper. The drawings on exhibit also include self-portraits. How does the Alvaro drawn by Siza emerge? The Siza he himself portrays in his drawings is ironic. There are drawings in which all we see is his hands, his inseparable sketchbook and the image of what he is looking at, at that particular time. And Siza often has fun portraying himself in unusual situations, in the saddle on a great big horse, dressed as a general, or on the wings of a dove flying over the city. 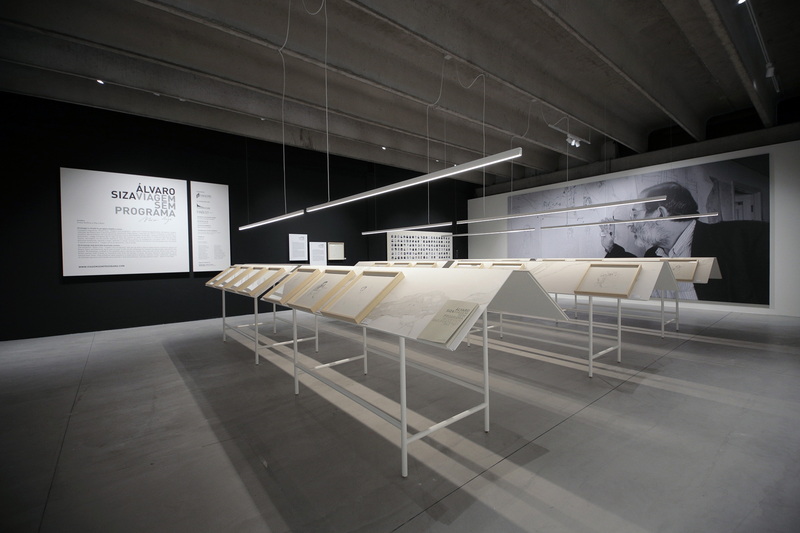 The exhibition at FAB Architectural Bureau in Castellarano opened on June 8 2017 and is open to groups with reservations until July 7.